Not yet designated terrorist by a Western country. Liwa al-Imam al-Hussein (The Imam Hussein Brigade) is an Iraqi Shi'a militia primarily operating in the Damascus area, working under the narrative of defending the Sayyida Zainab shrine. It has most notably been a participant in a regime offensive on the East Ghouta locality of al-Mleha (a focal point of Sunni rebel activity), coordinating with other Iraqi Shi'a militias such as Liwa Assad Allah al-Ghalib. 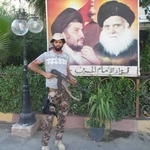 Ideologically, Liwa al-Imam al-Hussein asserts affinity with Muqtada al-Sadr. 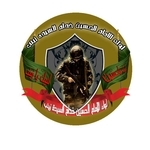 As part of a wider integration of Iraqi Shi'a militias into the Syrian state apparatus, members of Liwa al-Imam al-Hussein have also become affiliated with the Syrian armed forces' 4th Division, with joint participation in the siege of the rebel-held Damascus suburb of Darayya.